The official site of Caribbean writer Gabrielle Bellot. Gabrielle Bellot is a staff writer for Literary Hub. She grew up in the Commonwealth of Dominica. Her work has appeared in The New Yorker, The New York Times, The Atlantic, The Guardian, Shondaland, Guernica, Slate, Tin House, The Paris Review Daily, The Los Angeles Review of Books, The Cut, VICE, Electric Literature, The Normal School, The Toast, TOR.com, the Caribbean Review of Books, Small Axe, Autostraddle, and many other places. She is the recipient of the 2016 Poynter Fellowship from Yale and also holds a Legacy Fellowship from Florida State University. Bellot holds both an MFA (2012) and a PhD (2017) in Fiction from Florida State University, and currently teaches classes at Catapult and Gotham Writers Workshop. 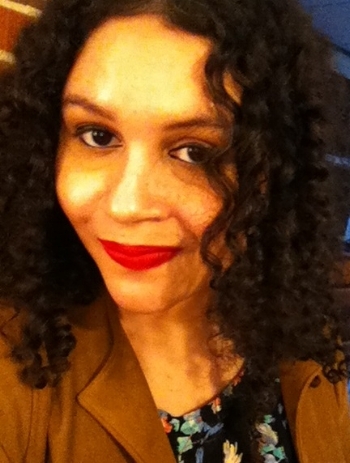 Her writing tends to focus on global literature, LGBTQIA identities, literary history, exile, the Caribbean broadly, and what it might mean--at least for the day you ask her--to navigate the world as a multiracial transgender woman of colour. Beyond that, she's also a self-confessed lover of astronomy, the ocean, Calvin and Hobbes, Hayao Miyazaki's films, Sonic the Hedgehog games, coffee, and much, much more. She is working on her first novel. She lives in Brooklyn, NY. She also does freelance editing and manuscript evaluation for creative nonfiction, essays, articles, short fiction, and, occasionally, novels, as well as other types of projects upon request. To request proofreading, editorial services, and/or a critique of a manuscript, please contact her via the Contact page.